Not all vulnerable crops are equally attractive to fruit flies. Some fruits are highly favoured, whereas others are only a moderate or low risk. Be aware though, that even if you remove susceptible fruits from your garden, there still may be plants on neighbouring properties. That’s why a community effort or at least your immediate neighbours may need to rally together to tackle this pest! Removing all plants that are affected by fruit fly might be a challenge if you have a lot of vulnerable fruiting crops, but you could grow other trees and ornamentals instead. 2. Choose to grow foods that fruit fly don’t prefer. When choosing plants that are not fruit fly favourites, generally try to select varieties that have thicker or tougher skins. This can make it more difficult for these pest insects to lay eggs inside the fruit. 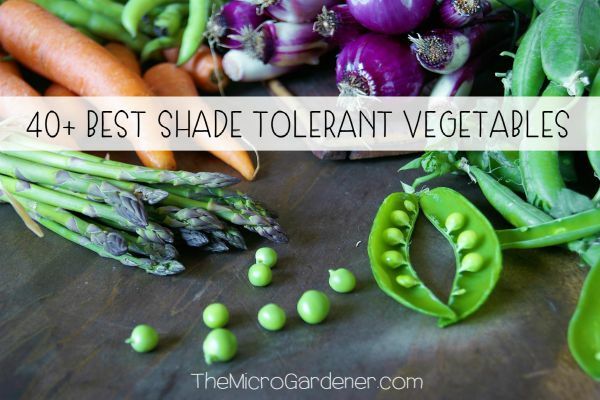 Which fruits are not prone to attack? Non-host plants include choko, coffee, pineapple, longan and mangosteen, as well as undamaged jackfruit and rambutan. Which fruits have a low-medium risk? Some fruits that are less likely to be attacked include figs, olives, tangelo, monstera, lemons and limes with thicker skins and grapes* (* although these are sometimes affected). Other fruits that are not preferred by fruit flies include blueberries, bananas (green but not when they are ripe) and grumichama. Generally kiwi fruit, mulberry and nashi pears, although these are occasionally affected. 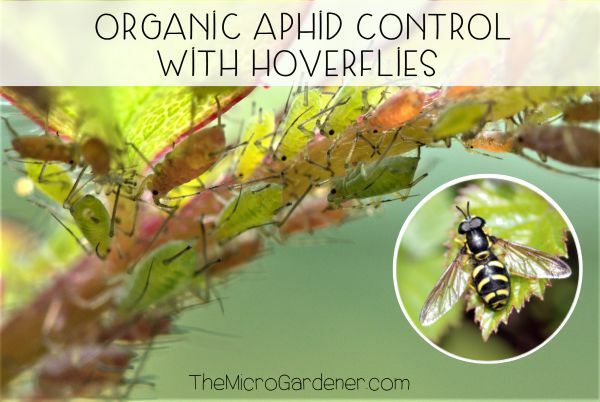 What else can you do to manage fruit flies in your garden? Prevention is better than management but you will likely need an integrated strategy with more than one method of control. 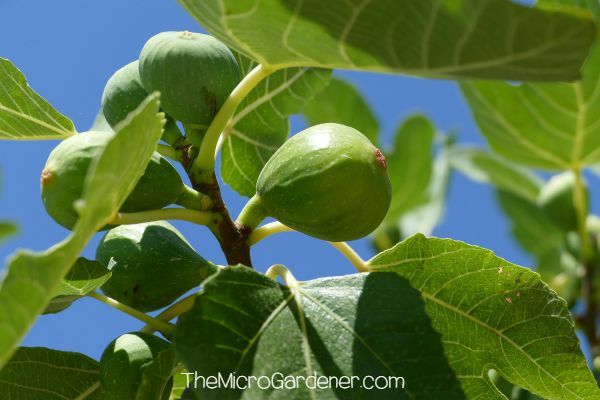 Prune your fruit trees heavily and make sure you thin out any fruiting buds. 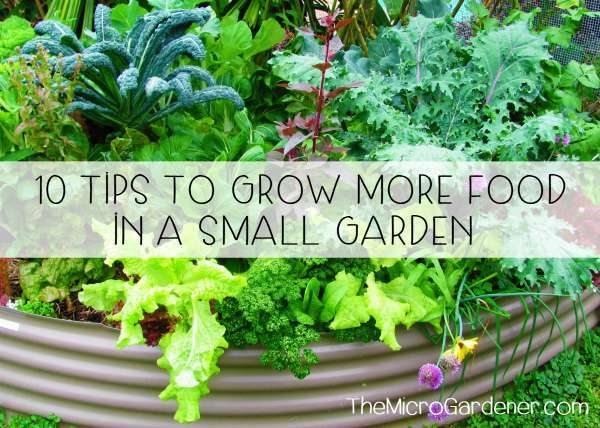 Select dwarf fruit tree varieties and grow in containers for easier management. Choose early maturing varieties that produce fruit before the fruit fly season starts or that ripen when the fruit fly is overwintering. Grow less and protect your vulnerable crops with fine mesh exclusion netting, individual fruit bags or sleeves. 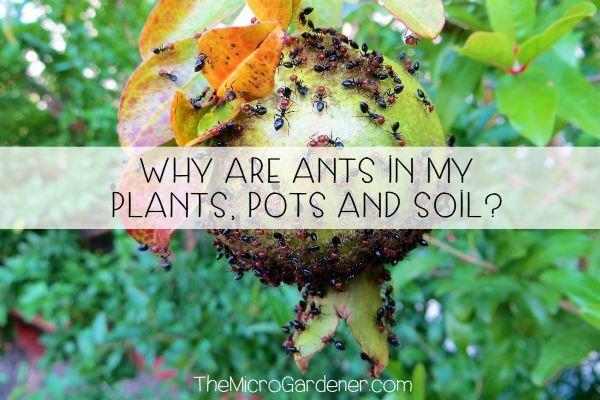 Enlist help from Nature’s Army by growing flowers and habitat for predators including spiders, birds, parasitic wasps, assassin bugs, dragonflies, preying mantis, ants and ground beetles. 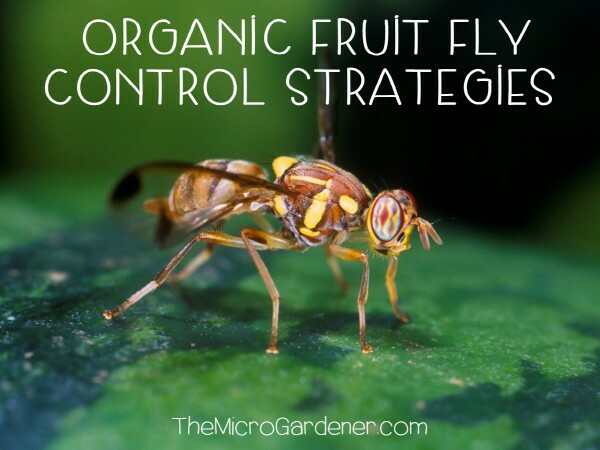 As fruit flies can fly several kilometres, work with your immediate neighbours to coordinate your crop protection strategies so you create a wider safe zone. 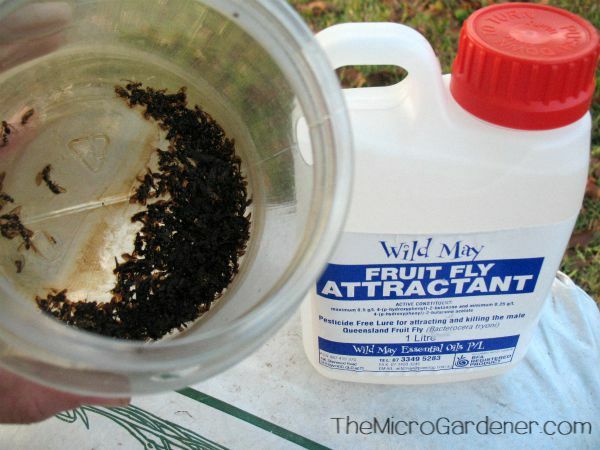 Monitor fruit fly activity by using traps with a pheromone attractant. 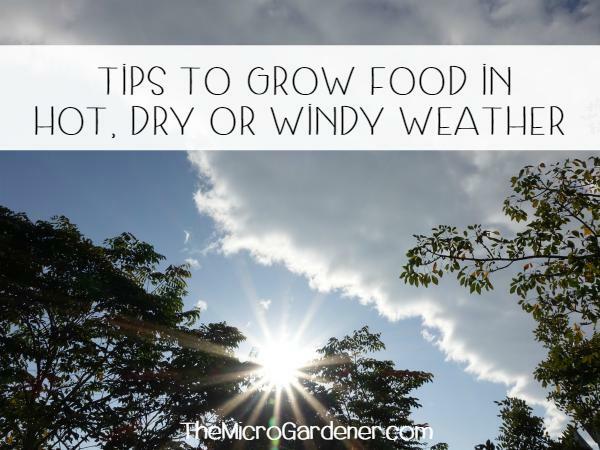 Use other controls like organic bait sprays and set protein traps before your fruit ripens. As soon as you see evidence fruit has been stung, harvest it immediately. Look for a tiny pin prick, clear sap oozing or small dimples in the skin. Collect all fallen or rotting fruit from the ground. Destroy it to break the life cycle. If you have chickens, allow them to feed on affected fruit. 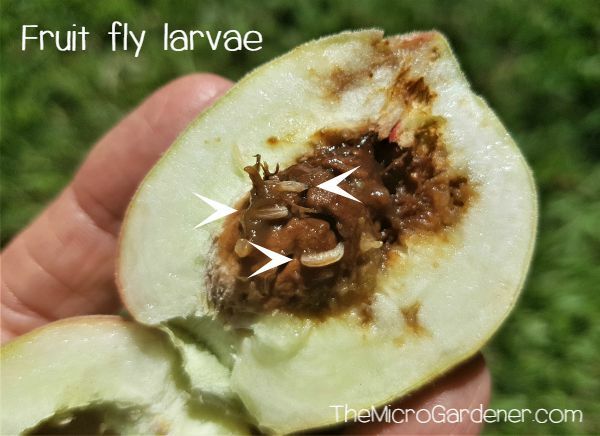 I hope these tips and strategies help you harvest more fruit and manage this challenging pest insect organically.